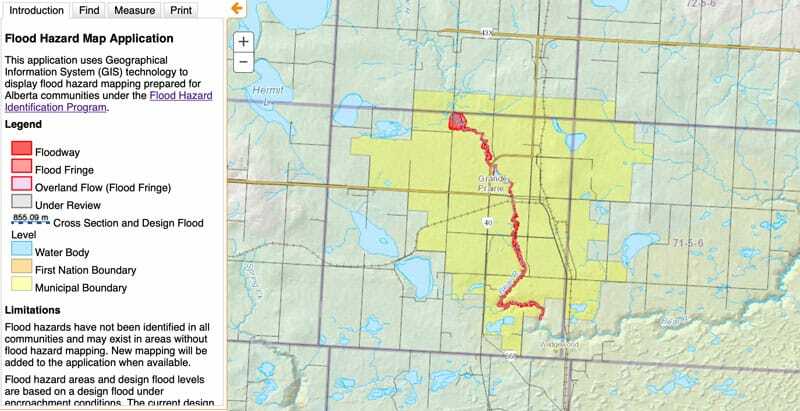 Online map to visualize the regions in Alberta that have a risk of flooding. View the online map. The interactive map displays the regions in the province along water bodies that have a risk, according to 100-year flood standards. The information comes from flood mapping studies, which identifies regions that occupy floodways and flood fringes. More information about the map, including definitions and GIS downloads.